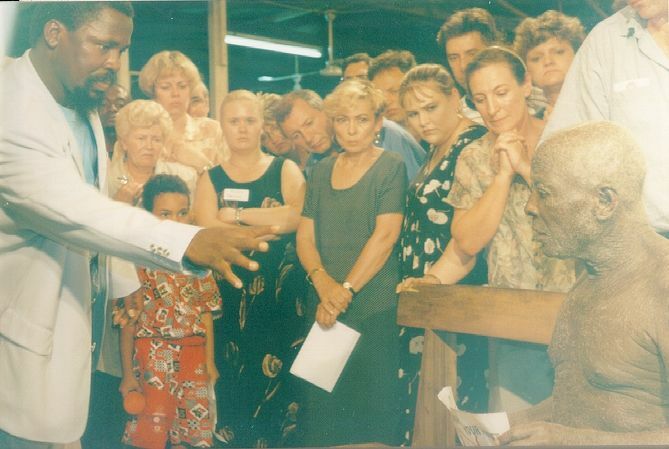 The man of God ministers healing and deliverance in the spirit. Notice his eyes. Quite often the person does not have control over their spirit man - and they stumble around or fall down. Ministering to a man with "skin poison". 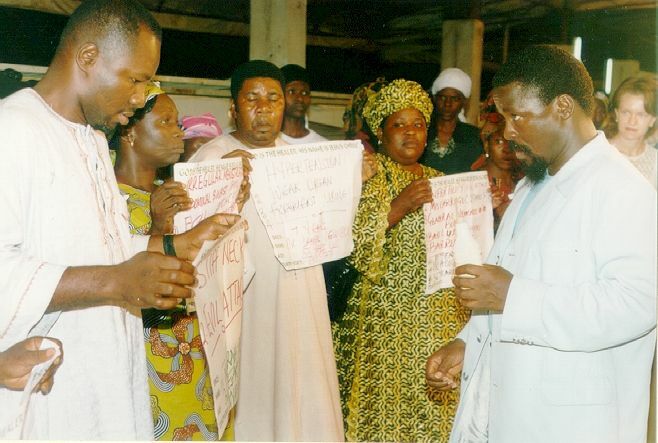 TB Joshua encourages the visitors to stand close to him when he ministers healing. 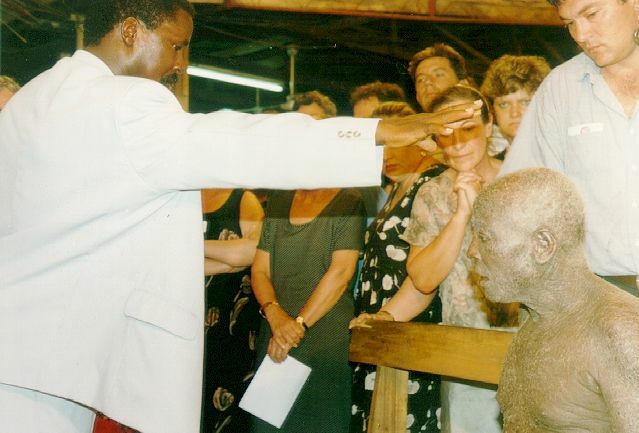 Healing to a mad man (mentally) - he came to the church without any clothes on. 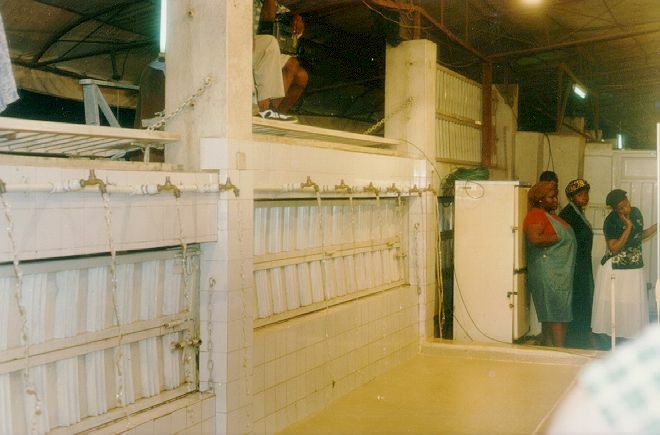 During the "Blood of Jesus" ceremony, the man of God blesses the water (12 taps) and drinks from it himself. We saw how people was healed as they drink from the water, and how the Ogbanjees (agents of Satan) was exposed when the water fell on them. 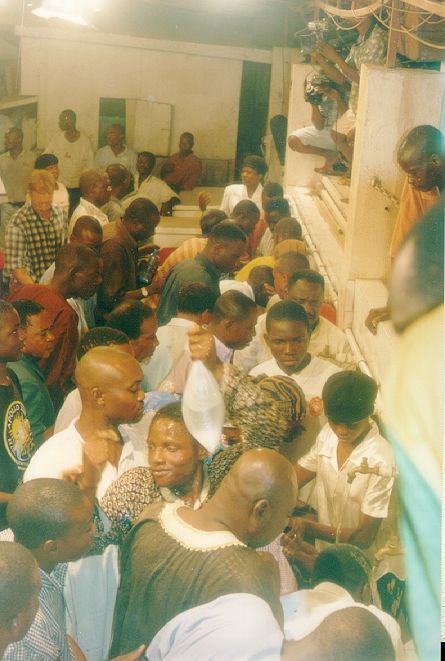 People push and shove to get some of the "Blood of Jesus". The visitors had the privilege of having of the water first before the rest of the congregation.